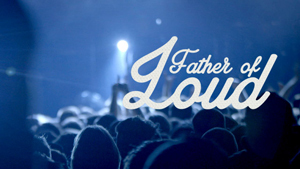 A new, full-length rockumentary called Father Of Loud is going to be released. In order to complete work on the project a Kickstarter campaign has been launched and you can check it out right HERE. A video trailer has also been released and you can check it out below. The Story: Marshall Amplification. This brilliant piece of technique has a multi layered story. It all starts in 1960, when Jim Marshall, himself a great drum teacher, opened a drum shop. It soon became a popular haunt for the up and coming rock bands of the time. “They kept pestering me to stock guitars and amps so I decided to give it a go.” Jim recollected. He quickly became aware of the fact his guitar playing customers were all searching for a sound they just couldn’t get from the amps available at the time. After several attempts, prototype six became the first Marshall. It was placed in the shop window in September 1962. “We sold 23 the first day.” The key was an amplifier that combined volume and distortion. Marshall amplifiers were used by all manner of 60s rock guitarists like Pete Townsend, Jimi Hendrix, Ritchie Blackmore, Eric Clapton and many, many more. Nowadays Marshall is the most iconic brand in Rock and roll. It inspires children to rock the guitar like their role models. To practice hours and hours until their fingers bleed. Marshall is a global brand producing up to 200 amps a day, shipping to almost 100 countries. But how is it, that Marshall became such an iconic brand? And how did the passing of Jim affect the Marshall domain? Not only the greatest guitar players will shine their light, but also Marshall employees, technicians and world wide known record producers will enlighten the past, present and future of this iconic brand. Zakk Wylde (Black Label Society), Slash (Guns 'n Roses), Lzzy Hale (Halestorm), Lemmy Kilmister (Motörhead), Kerry King (Slayer), Billy F. Gibbons (ZZ Top), Adrian Vandenberg (Whitesnake), Joe Bonamassa, Joel O'Keeffe (Airbourne), Joe Satriani, Joanne Shaw Taylor, James Lynch (Dropkick Murphys).